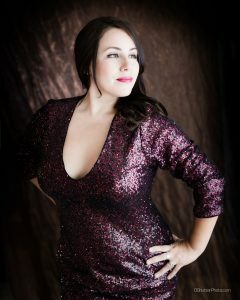 Based in Ottawa, Rachelle Behrens is a dynamic Chilean-Canadian performer who sings in English, Spanish, and French. She’s sung Latin, funk, soul, and jazz at many local festivals (Jazzfest, Folkfest), and at venues all over the National Capital Region including the NAC. Apart from her own headline performances, she’s involved in local music projects, including for the Pharaohs and as a guest singer in the Armed Forces Central Band. While she’s spent many years performing in a wide range of genres, her first passion is Latin music. Although the intimate and soulful recording on her new CD Nostalgia is entirely in Spanish, she looks forward to singing in Spanish and English at the Merrickville Jazz Festival.